One of New Mexico's underrated rivers, the Chama offers great trout fishing. While often overlooked, don't let that fool you. The Chama offers some of the best trout fishing in New Mexico. Nestled in North Central New mexio, it offers breath taking scenery and bountiful catches. 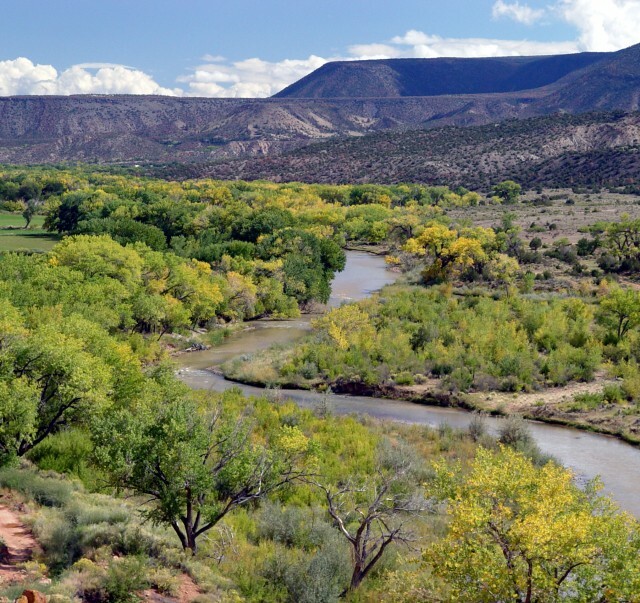 Located a few hours north of Albuquerque, the Chama River offers multiple access points. Contact us for more details. How's The Chama River Fishing? We have no reports from fishing below El Vado. Fishing below Abiquiu is good using small bead head nymphs, streamers and worms.